During the Winter Elks Scholar Service Trip, I had the opportunity to redefine my perspective regarding the social problems of poverty and homelessness. 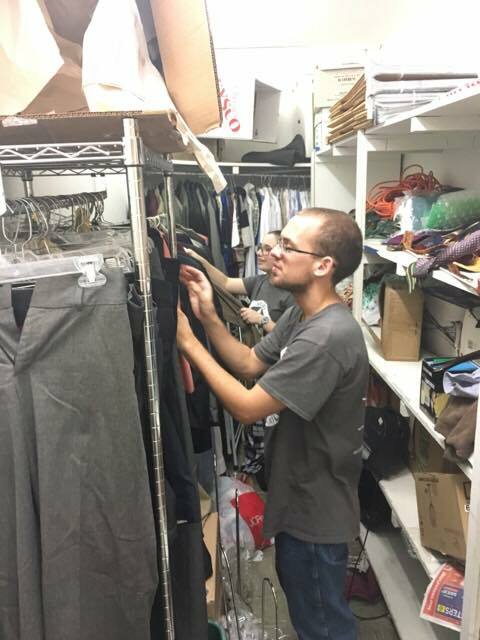 While serving alongside 20 other Elks Scholars in Dallas, I learned many things about what it means to spend a week serving my neighbors. a grant to children of deceased or totally disabled Elks members. My farther, Bill Bort, always stressed the importance of service. I can remember many times when I served alongside him. He had the ability to bring joy and hope to the people around him. John Quincy Adams once stated “If your actions inspire others, to dream more, learn more, do more, and become more, you are a leader.” This is a quote that I believe my father understood well. After his passing in 2009, the ENF made it possible for me to continue my education, while also allowing me to carry on his legacy of service. I cannot express the impact of Dallas without first stressing the importance of the Elks National Foundation. We really are #ElksFamily. So what did I do in Dallas? Throughout the week, we served with CitySquare, an organization that seeks to fight the causes and effects of poverty through service, advocacy, and friendship. They accomplish this by providing neighbors with direct resources, such as housing, training, meals and education. They explained to us that this type of approach to poverty begins with redefining the terminology that we use. By referring to the individuals we serve as “neighbors”, we start to pull apart the labels and stereotypes of homelessness. They taught us that through connections and conversations with our neighbors, we begin to better understand and address poverty. 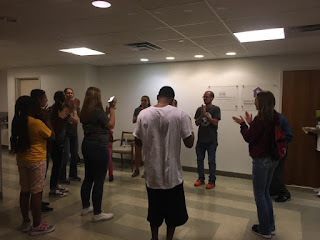 Throughout the week, we engaged in various forms of direct service. One night, we served and ate dinner with our neighbors. It was during this dinner that I had the pleasure of meeting Robert and Winston. As I sat with them, I learned about their passions and interests. Robert was a big music fan and told me about past musicians and instruments. He also spoke Portuguese fluently; therefore, we spent a lot of time comparing my second language of Spanish with his second language of Portuguese. Winston told me about sports news in Chicago. He was so happy that we spent time speaking with him. In many ways, Winston was the perfect example of gratitude. His spirit and positive attitude are something we should all strive for. Later in the week, we also volunteered at the food pantry and walked alongside our neighbors as they shopped. The neighbors were greeted by a volunteer and then guided around the pantry where they had the option to pick from a wide variety of items—including steaks from Trader Joe’s. In this situation, I was able to provide a personalized experience and I was also able to brush up on my Spanish skills as many of the neighbors were fluent in Spanish. Over the course of the week, I learned that a large amount of empathy is required to confront poverty. In turn, this requires stepping out of our own shoes and into the shoes of our neighbors. This step allows us to break down the labels and stereotypes that are often associated with our neighbors. It allows us to see them for the people that they are. They are people that are full of dreams, talents, skills, hope, and solutions. We must realize that many times our answers to poverty are not necessarily true. In many ways, it is our neighbors who have the answers. Finally, our neighbors are similar to us in many ways. They are not the labels and stereotypes that our society gives them. As a society, it is our duty to reach out to them. I would highly suggest serving our neighbors so that you too can see this perspective. At the beginning of the week, we were asked to write our personal definition of service. To end, I would like to share mine. “Service is stepping outside of yourself to address the needs and challenges of our neighbors. This is accomplished through a perspective of love, grace, compassion, and empathy. 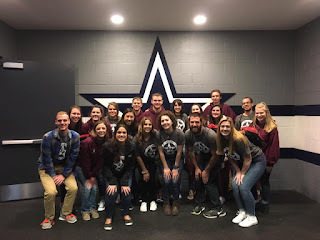 It is realizing just how blessed you are and realizing that you want to show the same towards everyone around you"
To read more about the Dallas Elks Scholar Servcie Trip, click here.